Film and Party: $44 general / $36 member - no service charge! 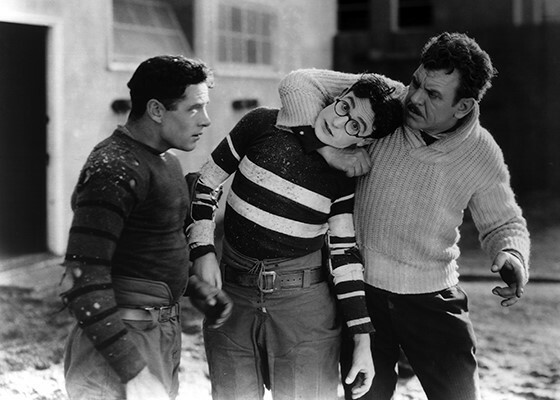 Harold Lloyd’s biggest box-office hit stars Lloyd as Harold Lamb, a college freshman who dreams of being a big man on campus and gets advice from pamphlets such as “Clever College Clothes” and “How to Play Football.” A disastrous tryout lands him a spot on the football team as a human tackling dummy before he becomes the team’s water boy. But Harold holds on to his dreams, aided by his sweetheart, Peggy (Jobyna Ralston). The Freshman’s climactic football game was filmed at UC Berkeley’s Memorial Stadium! Print source: Janus Films, courtesy of Harold Lloyd Entertainment, Inc.